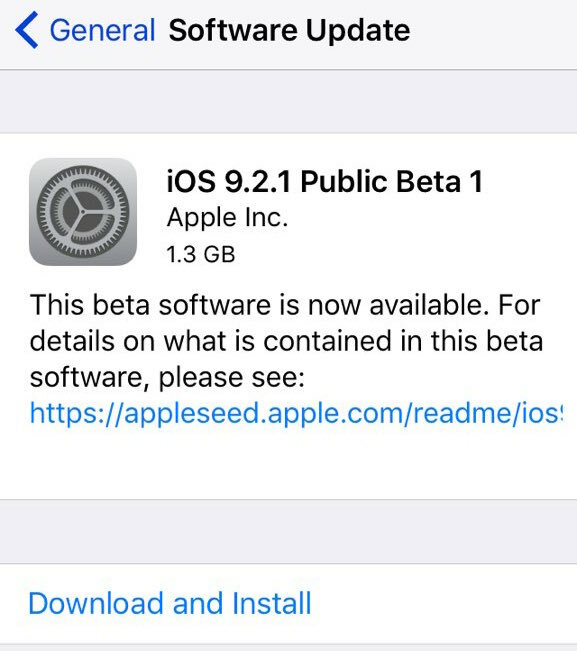 After releasing iOS 9.2.1 beta 1 to developers yesterday, Apple today as expected has released iOS 9.2.1 public beta 1 for those registered on Apple’s Public Beta program. Apple also released first beta of OS X 10.11.3 yesterday to developers, and even though public beta of 10.11.3 isn’t available yet, it’s only a matter of time before it is made available to public beta testers. This public beta build of iOS 9.2.1 is essentially the same build as the one released for developers yesterday. As for what is new in iOS 9.2.1, not much is known as Apple hasn’t published any official changelog for it as yet. If history is anything to go by, iOS 9.2.1 is likely just another minor point release which aims to fix bugs and improve performance on both newer and older iOS devices. 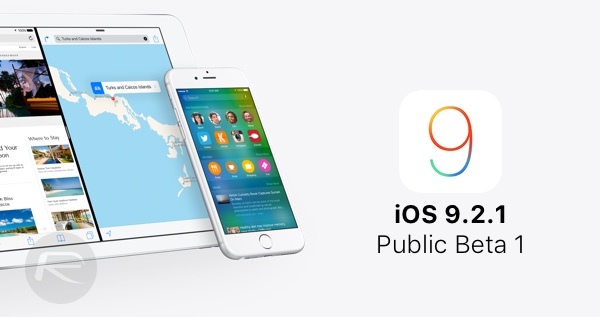 To grab iOS 9.2.1 public beta 1, you will need to be registered with Apple’s Public Beta program. It’s available free of charge to anyone willing to test beta software for Apple. If you haven’t signed up for it yet, you can do so by following the instructions here. If you are already enrolled in Apple’s Public Beta program, you can simply head over to Settings > General > Software Update section on your iOS device right now to download and update to the latest available public beta via OTA (Over-The-Air) software update mechanism. We’ll keep you posted as soon as we get to know more about the first beta of iOS 9.2.1. In the meantime, if you’re currently testing iOS 9.2.1 beta 1 and have found anything interesting of note, don’t forget to share it with us in the comments section below.